Reuben is a magician and a comic, and is a funny faced host on RTEjr and sometimes he wears a saucepan on his head. Andrew Stanley loves his big hair, Pikachu and wrestling! When he grows up he wants to be an airline pilot. 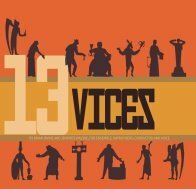 For ensemble, improvisers, conductor and voice. This unique work is the result of a collaboration between two of of Ireland’s most dynamic compositional voices – Brian Irvine and Jennifer Walshe, and is inspired in part by Mihail Chemiakin’s – ‘Children are the victims of adult vices’ (a series of grotesque sculptures located in Bolotnaya Square, south of the Kremlin in Moscow). Performed by a specially formed ensemble that combines three of Europe’s most explosive free improvisors – Paul Dunmall (saxophone), Paul Rogers (double bass) and Mark Sanders (percussion), together with the strings of the acclaimed Scottish based contemporary music group – Red Note Ensemble, 13 Vices melts the boundaries between theatre, contemporary classical, free improvisation, opera, conduction, poetry, thrash and trash! 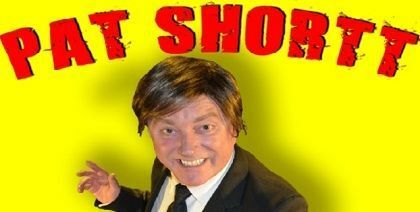 The irrepressible Pat Shortt is back on a nationwide tour with stories and gimmicks that only Pat Shortt could come up with. His new show “SELFIE” tells the tales of a singing undertaker Mossey Burke along with a host of new characters as he recounts his favourite funeral. A funeral that was nearly the death of him and changed his life forever! Just recently returned from rave critical reviews for his part in the Cripple of Inismaan on Broadway alongside Daniel Radcliffe, Pat’s new show and his unique way of story telling is an entertaining throwback similar to that to the days of D’Unbelievables! In a quirky and humorous way Pat brings us on a journey with his new character Mossey Burke and the chaos that can happen around an Irish funeral that any and all can relate to. Through laughs and punch-lines and hilarious one-liners Pat performs a myriad of truly Irish comedic scenarios that no matter what part of the country you are from you will have seen or heard of first hand!